those jeans on in a snap! wreak havoc on your life. rich in iodine. Why iodine? "grin" and the "bear it." I was sent these products in exchange for an honest review. I was not paid for this review and all opinions are 100% mine. I will admit I think I have a new addiction to tea. I absolutely love the Green/Lean tea. The flavor is awesome and it gives me some great energy to start my day. YOU must try it. 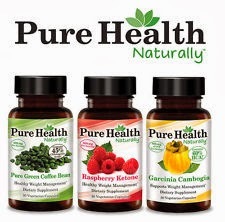 I have also tried the Natural Defense pills. I don't have much of an opinion on these pills. I am always trying to stay healthy now that I am working full time in the schools again but I have only taken the pill for a couple weeks and truly don't know if they are working or not. The Sleep Sweetly pills have worked wonderfully for me. I usually take 2 on nights that I want to hit my pillow and fall asleep. It says to take it 30 minutes before bed and my eyes are super tired when those 30 minutes roll around. I know when I take the pills I also have more vivid dreams. I am really excited about the sleep sweetly product.